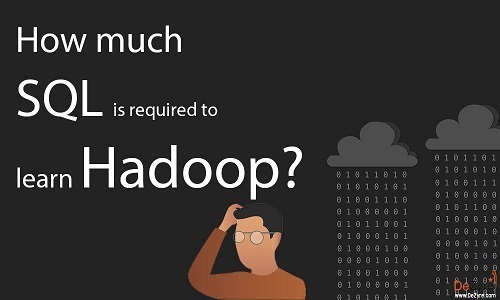 How much SQL is required to learn Hadoop? In our previous posts, we have answered all the above questions in detail except “How much SQL is required to learn Hadoop?” This post provides detailed explanation on how SQL skills can help professionals learn Hadoop. If you want to work with big data, then learning Hadoop is a must - as it is becoming the de facto standard for big data processing. Hadoop is an open source framework that helps organizations find answers to questions that are not obvious at the beginning but these questions (found by big data analysts after digging through the data) - provides insights into day-to-day operations, drives novel product ideas, puts captivating advertisements in front of consumers, provides compelling recommendations and suggestions for products. One can easily learn and code on new big data technologies by just deep diving into any of the Apache projects and other big data software offerings. The challenge with this is that we are not robots and cannot learn everything. It is very difficult to master every tool, technology or programming language. So, when in learning mode, students or professionals always choose to learn the technology that has the potential for a high paying job and has proven value among many users. Hadoop is one such technology. People from any technology domain or programming background can learn Hadoop. There is nothing that can really stop professionals from learning Hadoop if they have the zeal, interest and persistence to learn it. Building a strong foundation, focusing on the basic skills required for learning Hadoop and comprehensive hands-on training can help neophytes become Hadoop experts. Can students or professionals without Java knowledge learn Hadoop? After the inception of Hadoop, programmers comprehended that the only way to learn data analysis using Hadoop, is by writing MapReduce jobs in Java. However, the developers soon understood that it is better to come up with a programming model for processing data, so that it can be used by majority of the developers for data analysis. Studies found that the de facto language for analysts was SQL. Thus, Hive was developed at Facebook to help people with SQL skills who don’t have any Java programming knowledge, to query the data against Hadoop for analysis. So, people who are not well-versed with Java programming but have good SQL skills can also learn Hadoop. They can work with HiveQL which is just like SQL that takes queries and transforms them into MapReduce jobs. Many people find it difficult and are prone to error while working directly with Java API’s. This also puts a limitation on the usage of Hadoop only by Java developers. Hadoop programming is easier for people with SQL skills too - thanks to Pig and Hive. Pig is a scripting language that is similar to SQL in English and Hive is almost like SQL itself. Students or professionals without any programming background, with just basic SQL knowledge, can master Hadoop through comprehensive hands-on Hadoop training if they have the zeal and willingness to learn. Pig and Hive are very easy to learn and code - making it easy for SQL professionals to master their skills working on the Hadoop platform. The need for SQL skills is not going away as Hadoop is not a replacement for the RDBMS systems but is rather an expansion of these systems to tackle huge volumes of data that RDBMS systems cannot efficiently tackle. Hadoop is not a new technology anymore and people who are already have basic SQL knowledge can learn Hadoop and starting working on the framework through the Hive project of the Hadoop ecosystem, because the syntax and commands in Hive are exactly like SQL queries. Pig Latin language abstract the java MapReduce code into a form that is similar to SQL language. Professionals familiar with using SQL server integration services (SSIS) know the difficulty in making SSIS operations run across multiple CPU cores. Apache Pig helps SQL server professionals create parallel data workflows. Apache pig eases data manipulation over multiple data sources using a combination of tools. SQL server professionals prefer to use Pig as it has loose schema requirements, parallel processing and sampling. Hive is used for connecting files and folders on Hadoop. Using Hive, developers can connect .xls files to Hadoop and download the data for analysis or they can even run reports from BI tool. 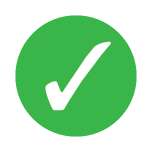 The end users of Hive don’t have to bother about writing a Java MapReduce code nor do they have to worry about - whether the data is coming from a table. Using Hive SQL professionals can use Hadoop like a data warehouse. Hive allows professionals with SQL skills to query the data using a SQL like syntax making it an ideal big data tool for integrating Hadoop and other BI tools. For professionals with SQL skills it would not make sense to write a lengthy java MapReduce code, debug, compile and execute it even when they just want to retrieve some rows from a basic Hadoop file. So, anybody with basic SQL knowledge can get started to learn Hadoop by coding in Pig Latin and HiveQL as many organizations prefer to use Pig for data processing and Hive for querying. 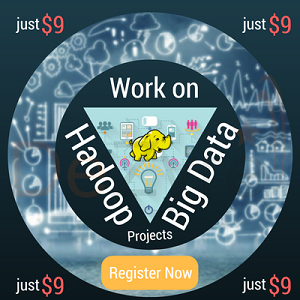 This is the Best Time to Ride on the Tiny Toy Elephant- Learn Hadoop Now! It is quite clear that having Java knowledge alone or the lack of it is not a criterion for learning Hadoop. Anyone having basic SQL skills can join the Hadoop training. Later one can slowly pick up Java skills if they are interested in product development on Hadoop, or want to deep dive into the code, whenever a hadoop program crashes or want to extend the functionality of Pig and Hive. For professionals who are already comfortable with SQL, learning Hadoop will just be like coding in the same language but with new tools like Pig and Hive. Learning Hadoop for SQL professionals in not a technological revolution but an evolution of their existing technical skills. Having Hadoop skills on your resume will act as a clear differentiator. To ensure a long and lucrative career, it is necessary for professionals to begin their journey and get started on their Hadoop Training. If you still have any questions or need assistance on the pre-requisites for learning hadoop, please drop an email to anjali@dezyre.com so that one of our career counsellors can guide you further on your hadoop learning path.